In addition to our upcoming ARC Forum cybersecurity workshop sessions on Monday, ARC will have cybersecurity related sessions throughout the Forum program that will examine several different issues related to industrial/OT cybersecurity. Our Tuesday afternoon session at 2 PM features several great presenters and panelists. This session is part of a series of case study sessions where industry, infrastructure, and smart city end users make presentations regarding their cybersecurity programs and initiatives. Attendees of this session will gain insight into what organizations are/are not doing and how their own efforts compare with industry peers. This information will be of benefit to owner-operators, suppliers, and researchers involved with industry, infrastructure, or smart cities cybersecurity. This session features several executive level cybersecurity people who will share Insights on how they manage OT level cybersecurity in their organizations, and how they are dealing with emerging topics such as IT/OT convergence and the emergence of IoT in the world of manufacturing. Our speakers in this session include Tammy Klotz, information security director for Versum Materials. Tammy is responsible for the Cyber Security Program at Versum which includes information risk management, plant cyber security, as well as IT security, risk, and compliance activities. Dawn Cappelli, vice president of global security and CISO of Rockwell Automation is responsible for protecting Rockwell Automation and its ecosystem of customers, suppliers, distributors, and partners from the ever-changing global threat landscape. She came to Rockwell Automation in 2013 as Director, Insider Risk, and built the company’s Insider Risk Program. Mandy Huth is vice president of cybersecurity for Kohler. Mandy runs Kohler’s global security strategy. She was previously Director of Information Security at Smarsh, a provider of archiving and compliance solutions, where she ran security strategy and execution, including product security and securing corporate DevOps. Mandy joined Smarsh after building a security organization responsible for IT and OT from the ground up for Belden. Additional panelists for the session include James Howard-Grau, CISO of PAS. As the CISO, he oversees corporate cybersecurity and ensures PAS technologies address the needs of the CISO community. 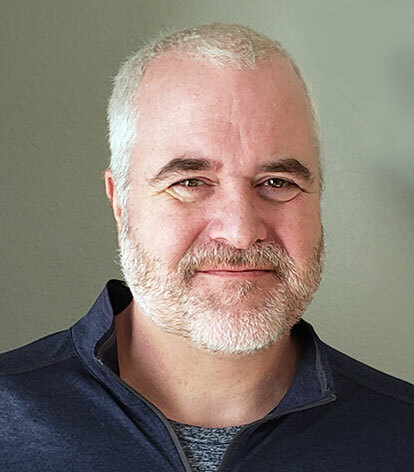 Jason brings a proven track record of successful delivery in cybersecurity, IT development and operations, IT and cyber shared services, consulting, and change management. Panelist Patrick McBride is the chief marketing officer of Claroty. Prior to joining Claroty, Patrick was the Vice President of Marketing and Communications at iSIGHT Partners (now FireEye). In addition to expanding the sales pipeline to bolster aggressive revenue growth, he was responsible for defining the global threat intelligence market and was a key advocate for security professionals shifting from attack response to proactive preparation.